This is Jimmy T from US Racing and I’m going on record to say that Firing Line and Gary Stevens will win the Preakness. I like Firing Line, American Pharoah and Dortmund. Dortmund– I think he got his feelings hurt. Beautiful animal and big as a moose, but he seemed a little cautious in the Derby and I think that might carry over on Saturday at the Preakness. American Pharoah? Sure, he’s a big stud– and I like him for Belmont. But the Preakness is short and he also got the rail. And nothing against Victor– but he isn’t Calvin Borel and it’s been a LONG time since a horse won from 1– Tabasco Cat in ’94. 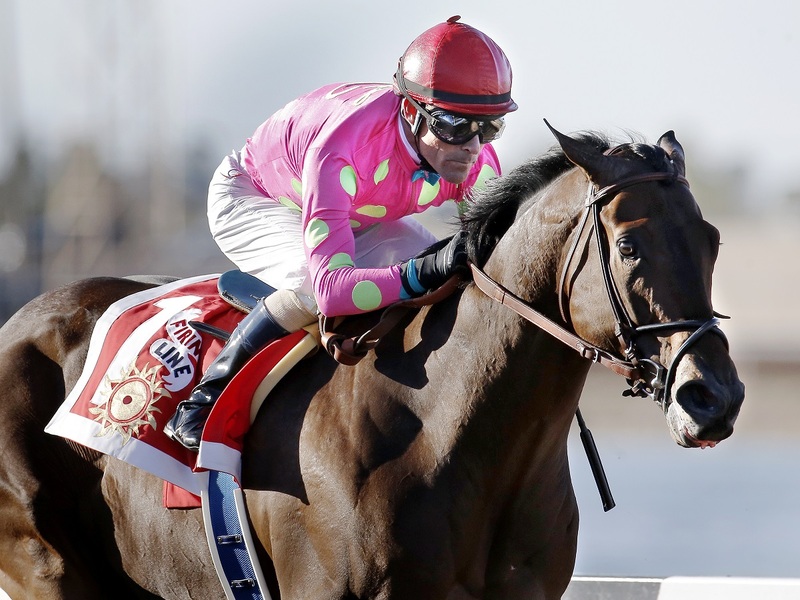 Which leaves us Gary Stevens– the ACE. And he doesn’t have to worry about his knee and he is riding out of 8. At the Derby he just seemed poised. So, am I am American Pharoah hater? Child please! I wanted California Chrome to go all the way. And in the soft mushy part of my cantankerous heart, yeah, I want the big AP to win. But I’m putting $100 on my trifecta and Firing Line is leading it.